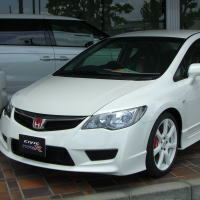 honda civic type r fd2 - J's Garage Export Co., Ltd.
2007.03 : Honda announced the release of the FD2 Civic type R in Japan on March 29. 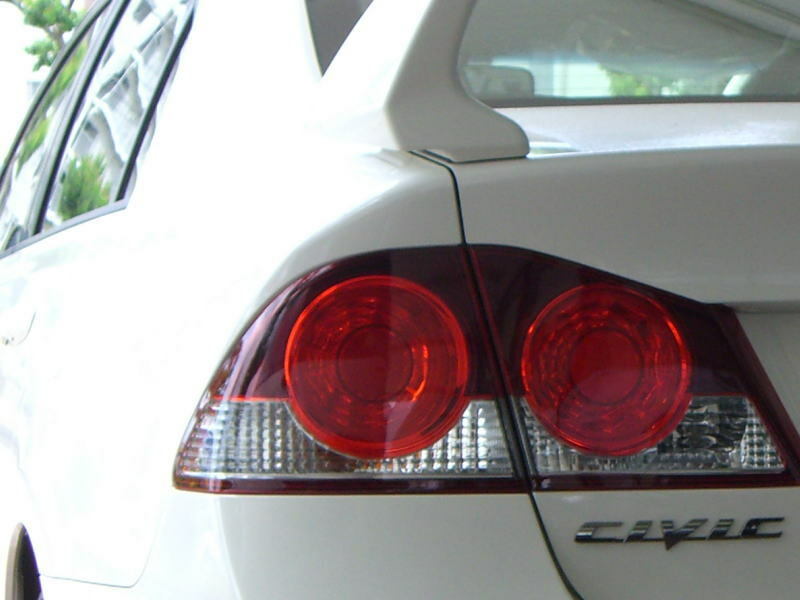 The Civic type R, 4 door sedan with Front engine/Front drive, is powered by a specially tuned 2.0-liter K20A i-VTEC engine that makes 225 horsepower. The K20A engine performance has been improved by surfacing of head-port, by adopting the DBW (Drive-By-Wire ) and by tuning of intake/exhaust manifolds. 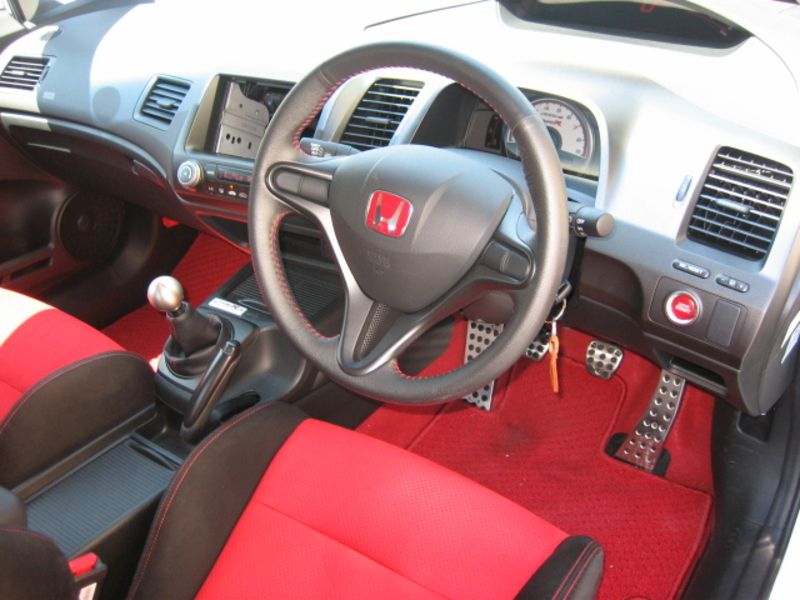 The Civic type R has a close-ratio 6-speed manual transmission. 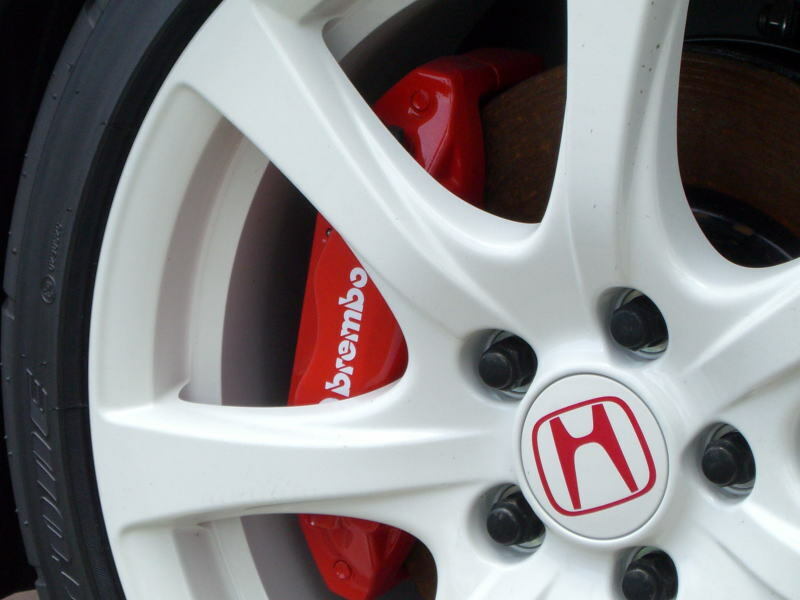 To achieve a high driving performance, the Civic type R has adopted the lightweight & high-rigid body shell, exclusive suspension, specially tuned ABS/EBD system, 18 inches Potenza tires, and 17 inches front disc brakes with Brembo 4-pot aluminum calipers. The Civic type R is equipped with exclusive aero parts, exclusive hood fenders, type R red emblems, exclusive Honda R spec seats, exclusive steering wheel, a short stroke sports shift, metal pedals, and engine starter button. 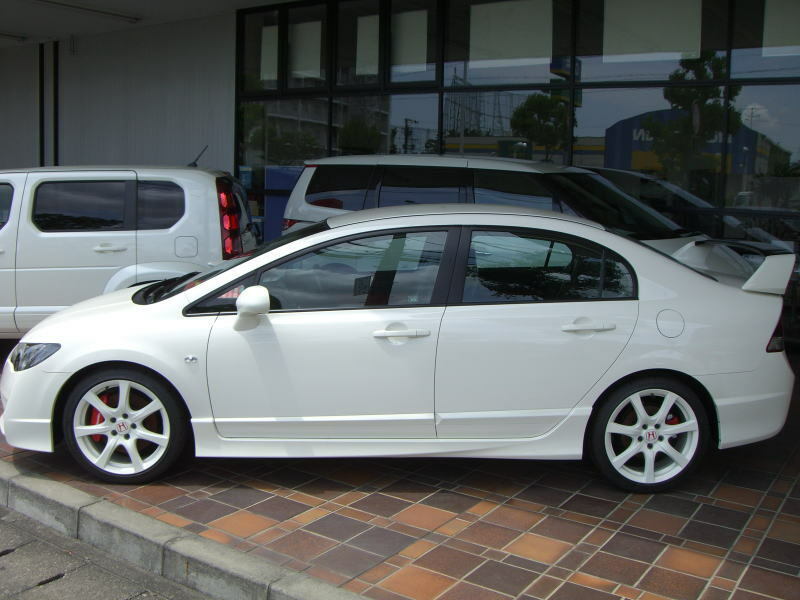 2007.06 : Mugen announced the release of the performance-enhanced Civic Mugen RR, based on the Civic type R, in Japan on September 13. The K20 engine makes 240 horsepower (240ps/8000rpm, 22.2kgm/7000rpm) by having exclusive camshafts & valve springs and by tuning of intake/exhaust system. 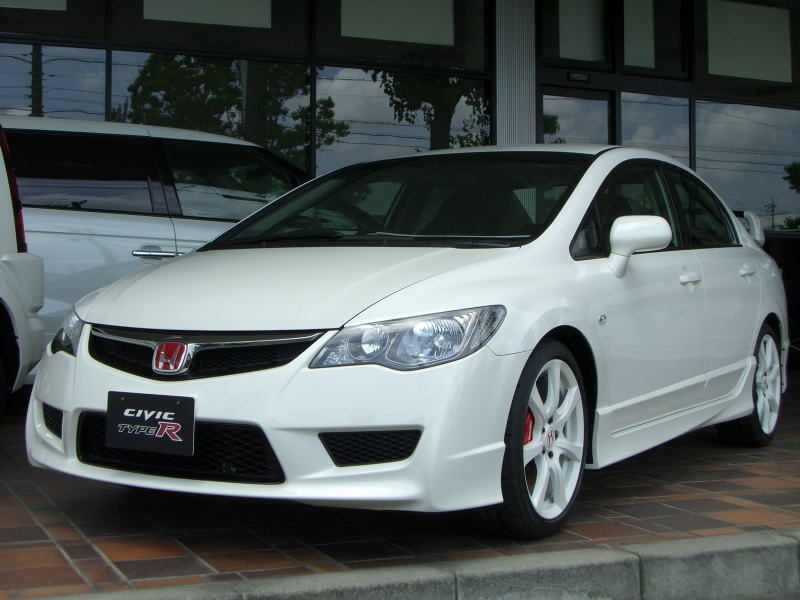 The Civic Mugen RR has adopted the 6 speed manual transmission with the short stroke shifter and Brembo brakes with slit-rotors stainless-mesh hoses. 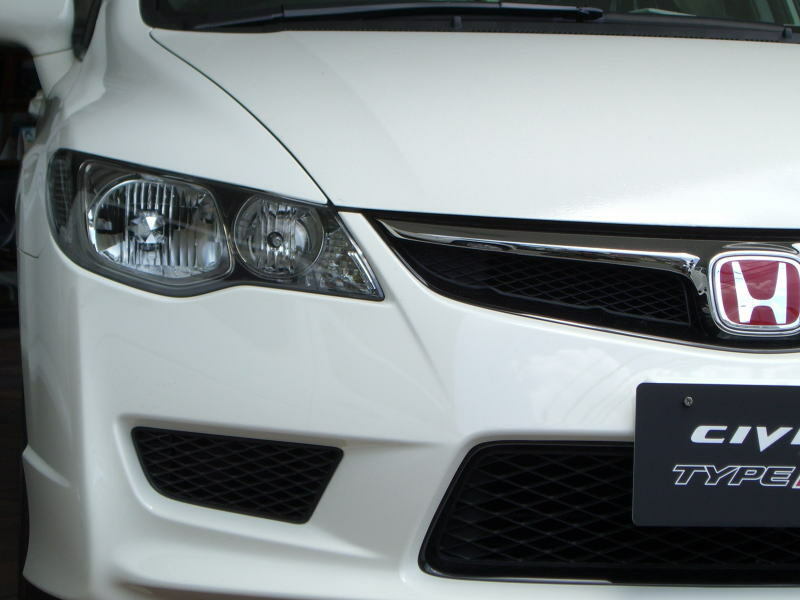 Furthermore, the Civic Mugen RR has achieved 15kg loss in weight by equipping the carbon front bumper & grille, the carbon rear wing,the aluminum hood with out-let,light weight alloy wheels, and carbon Recaro seats.